Tired travelers will find welcome shelter at this quaint resting spot! 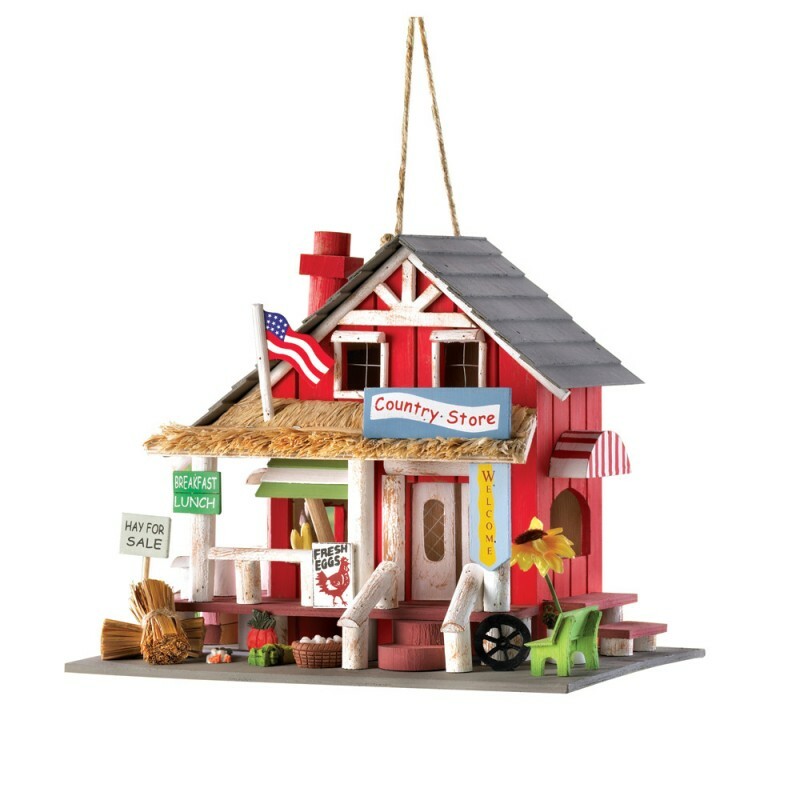 Cleverly detailed right down to the hay bales, this realistic miniature pays tribute to the rustic charm of the old-time country store. Loop on top for hanging.